Didn't make all that much progress in the last week. I blame turkey and general laziness. And possibly Plants vs Zombies. Since it's December (where did the time go? 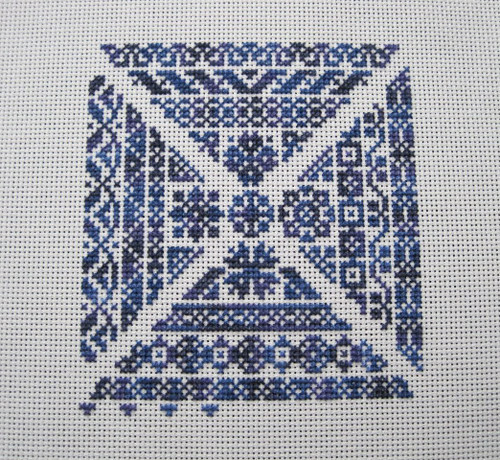 ), I'm going to start on those Christmas stitches I talked about a few weeks ago. I was going to stitch a wreath first, but now I'm thinking something else. Don't know what though. Riveting information, I know. I'm still looking for patterns and coming up with ideas for some modern looking stitched ornaments. Hopefully next week there'll be something more to show.